Los Becerros is a rocky area with caves and arches separated by small sandy patches. Los Becerros is in the middle of the channel but closer to the coast of Fuerteventura in about 10m depth. Its rocky bed is forming arches and caves with sandy patches. Currents are often moderate with quite a good visibility. 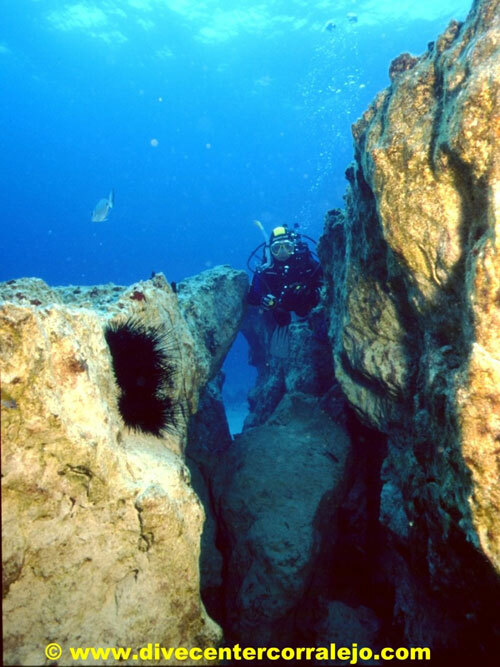 The recommended dive route is circular following the contour of the rocks.